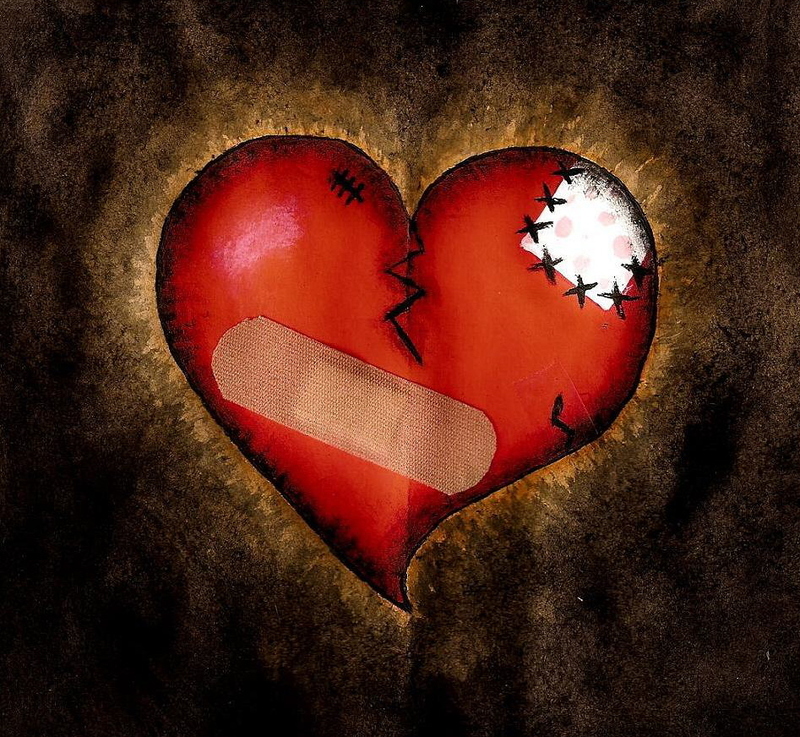 I was recently advised to be grateful if my heart was broken. My initial, unspoken thoughts were that this was crazy advice. Why should I be grateful for personal misfortune? Then came the explanation which resonated with me. When you have a broken heart, metaphorically speaking, what’s inside spills out. That may be hope, dreams, affection, confidence, belief, good feelings, optimism, joy, happiness, love and much more. It’s a sinking feeling. Yet whatever pours out of your heart also creates space inside it. There is a void that can be filled, and that is an opportunity. It’s that new opportunity for which you can be grateful. It’s an opportunity for a new beginning. You can fill the space with wonderment, new joys, a renewed sense of purpose, fresh and invigorated relationships, and ways to further enrich your life. Sometimes in our busy and full lives we don’t make space in our hearts for new people, activities, and experiences because we feel satisfied with what we have or lack the time or motivation. When we must let go of something we cherished, we can assess where we are and see new opportunities that we may not have otherwise seen. Positive energy and optimistic action can fill the void and take you to a better place and a more fulfilling life. The key is not to dwell for long on the past and with regret. An important step may involve forgiving yourself and others, then dusting yourself off, and stepping forward with a sense of purpose and vitality. Be grateful for the space that’s been created in your heart and life. Identify lessons learned and how to grow from the experience. Focus on renewal and personal enrichment. Fill the space in your heart with positive energy and a new sense of wonder. Find new joys, loves, and passions. Rejuvenate relationships and seek healthy new ones. Positive and forward-looking action is essential to mending a broken heart and creating a brighter future. Our book, Find Fulfill Flourish, is now available! Ben Bolch of the Los Angeles Times calls it “an inspirational tour de force” Click here to purchase it. Click here for an overview and here for a free sample chapter. Book readers also receive FREE access to all premium exercises and content on our website. Visit our new website, see the video: FindFulfillFlourish.com. Take the FREE Guiding Values Exercise. This is just a wonderful way to look that this experience we all go through from time to time….. While all 9 points are solid, I really like the #1 suggestion…..
Keep the truth coming, just a wonderful post…….suggestions and compassion. When experiencing a broken heart, I often had reached for optimism and thought to myself: my heart is empty, and now I have the opportunity to fill it with something new. I think your suggestions are all excellent! If we all had this list when we were feeling the ache of a broken heart, we would be able to pick ourself up more quickly! Thanks so much for your comments, feedback, and great insights. And, yes I agree that the heart is an endless place . . . if we open it and let others in. Sometimes it’s a matter of trust. the willingness to share who we are, and taking the initiative to reach out to others. I’m glad my post resonated with you. If you think this blog will help others, please spread the word. We may not like the idea of being broken, but that’s actually part of God’s process for making us grow. It works similar to how you described it — our hearts are full of all kinds of stuff, including things that don’t need to be there. When we’re broken, it’s like you come to the end of yourself, where you realize you aren’t strong enough or good enough on your own, and that God is what we need. It’s a place of surrender, where we can give everything to God. I’m not talking about just following some religious rules, but having a real relationship with God, having real encounters and letting Him genuinely change your life. Following man-made traditions doesn’t bring fulfillment and change, even though that’s what some churches teach. God does have rules for us, but we must have a relationship with Him for it to be valid and make a difference. We were created for fellowship with God. Chad, thanks for adding this perspective to our posts. I think many readers will find it insightful.